The Delta S4 – born in 1983 at Abarth under the project code SE038 - represents an important chapter in the Lancia sports history. A relatively short history, but very significant in terms of technology and racing results. This book - written by Vittorio Roberti (Abarth former engineer who worked a lot on the SE038 project) and Luca Gastaldi (journalist specialized in automotive history) – explores, for the first time, the Delta S4’s entire career, from the white sheet to the latest racing victories. 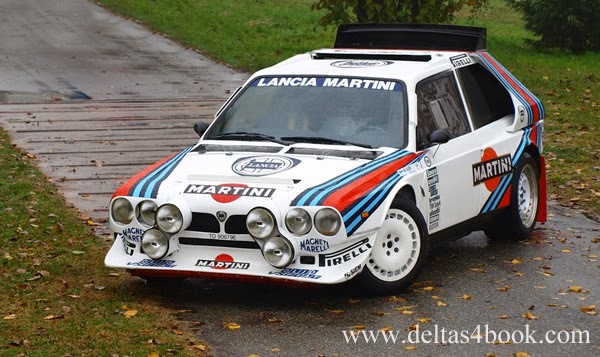 In November 1985 the Lancia Delta S4 rose to prominence of the World rallies. The S4 debut in World Rally Championship was at the British RAC Rally, and was an immediate triumph thanks to the victory of the great Finnish driver Henri Toivonen. After thirty years from that exploit, the story of the "S4" is rebuilt in a book (the first ever dedicated exclusively to this model) thanks to Vittorio Roberti and Luca Gastaldi. The first of the two authors is an engineer who worked at the Abarth’s racing department from 1979 to 1994, operating on the development of the SE038 project (how initially the Delta S4was identified). Gastaldi is a journalist specializing in automotive history, and had already lavished in a four hands publication together with another Abarth former engineer: in 2010, with Sergio Limone, he wrote "The Abarth Projects after Carlo Abarth" book. 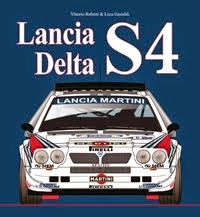 The title of the new publication is simply "Lancia Delta S4", because there is nothing to add to a name that immediately evokes emotions, adrenaline and pride for an Italian construction at that time represented the state of the art about technological refinements. The Delta S4 - in addition to being the first 4WD car in the Fiat Group (with the exception of off-road Campagnola and olther industrial vehicles) - sported an engine equipped with a twin supercharging system with volumetric and turbo superchargers. The full story of this car (from the white sheet to the last racing successes) is treated in a comprehensive and exhaustive way. Nearly 400 pages, over 1000 photographs (many of which are absolutely unpublished) and dozens of technical illustrations (made by Camillo and Alessandro Cordasco) to describe the evolution and the differences between the road and the racing versions. 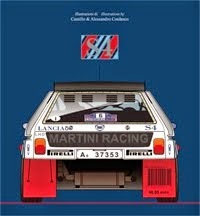 There are testimonies of the protagonists (from Cesare Fiorio to Miki Biasion, and many other names less known but very important for the birth of S4), the "race setup", the prototypes’ characteristics and the final versions, the detailed history of each individual chassis and much more: a real bible on this famous Lancia model become a legend.